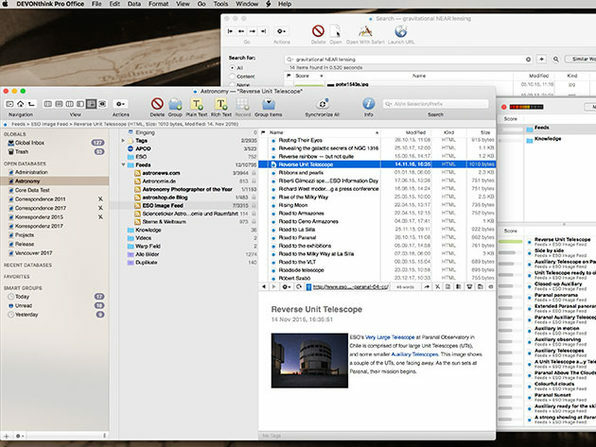 DEVONthink Pro for Mac stores your information in one easy-to-backup database and presents it to you in ways optimized to your work style. Get organized effortlessly with DEVONthink Pro, the one store to keep all of your documents in sync. This software stores your information in one easy-to-backup database and presents it to you in ways optimized to your work style. 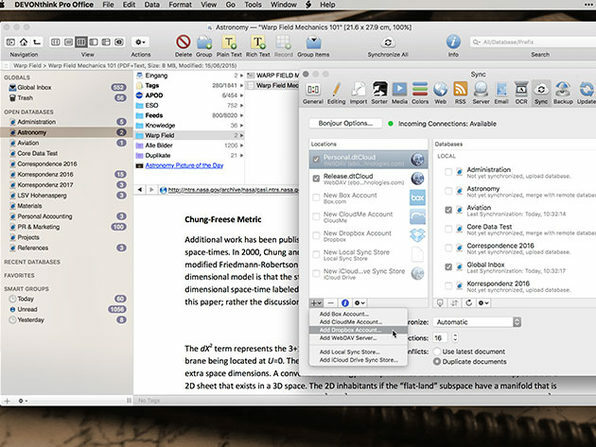 View and edit many documents inline, read web pages as if they were local documents, and file your information smarter. Work doesn’t have to be hard, so don’t let it be.